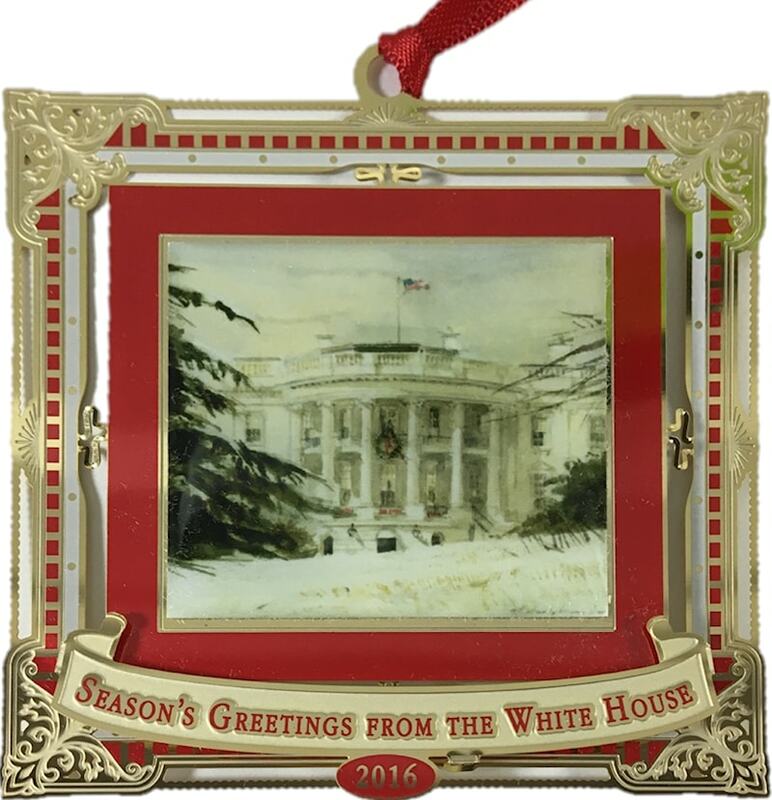 It's our Anniversary and we are celebrating the milestone with this 2016 White House Holidays Ornament. 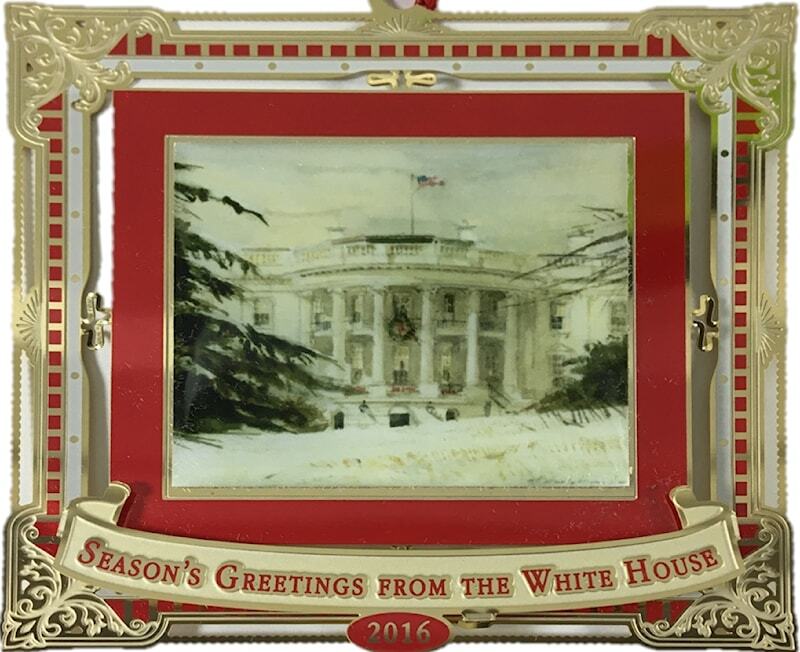 It commemorates the twentieth anniversary of the book, Season’s Greetings from the White House. The centerpiece of the ornament is original art by Thomas William Jones, who was commissioned for the cover of the book. T.W. Jones is an American artist who was chosen by President and Mrs. Reagan to paint four State Rooms in the White House to be reproduced on their official Christmas cards. 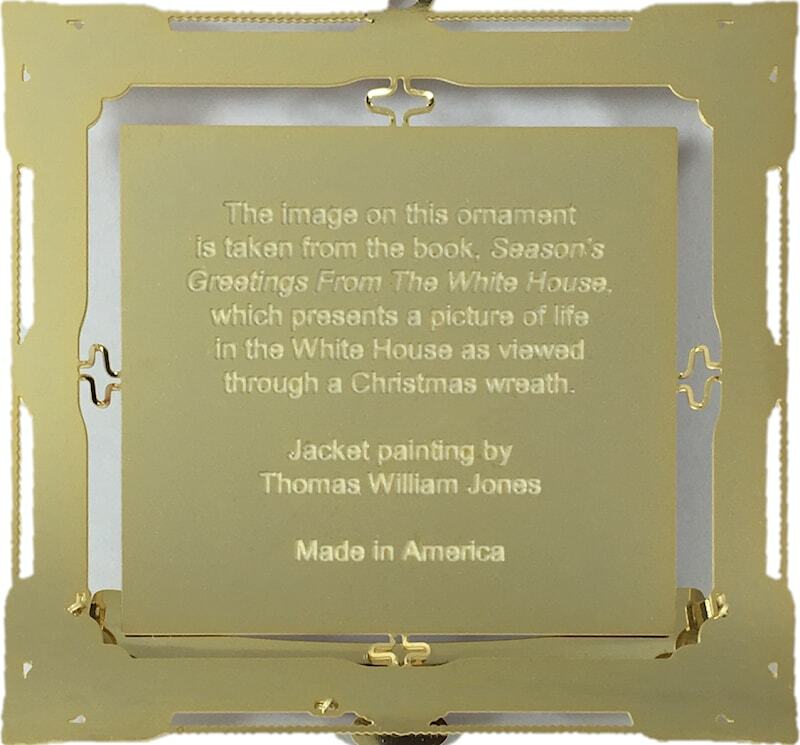 The ornament was beautifully hand crafted in the USA, using a polished brass base with a 24 karat finish.The design was hand screen printed with a dapped forward image, double framed with exquisite color. 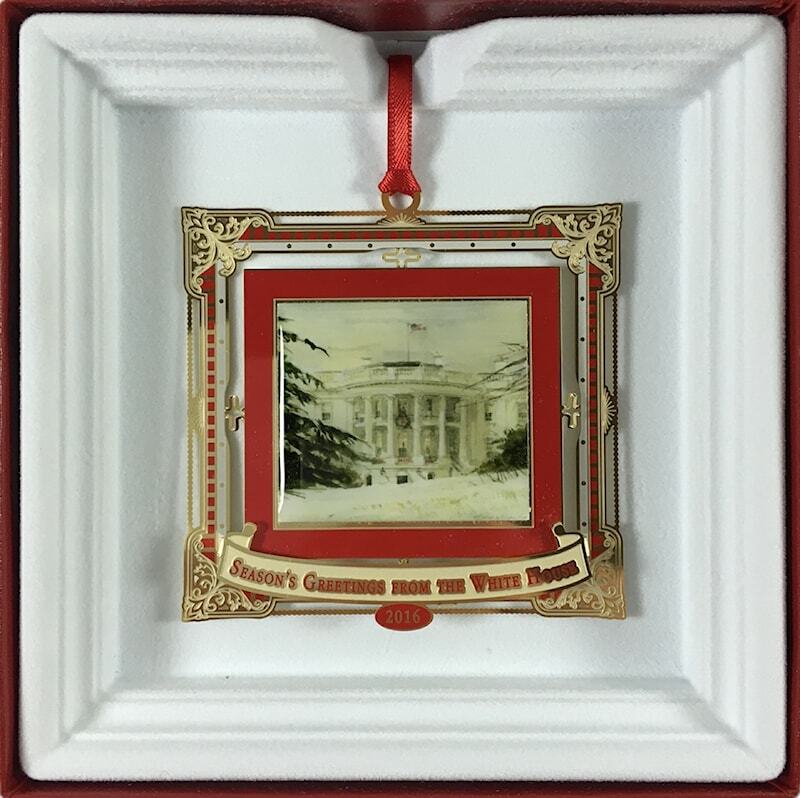 The ornament is packaged in a red gift box with gold hot stamping of the White House and the words Season's Greetings from the White House. This ornament is not a part of the White House Historical Association Collection. A provenance card is included. 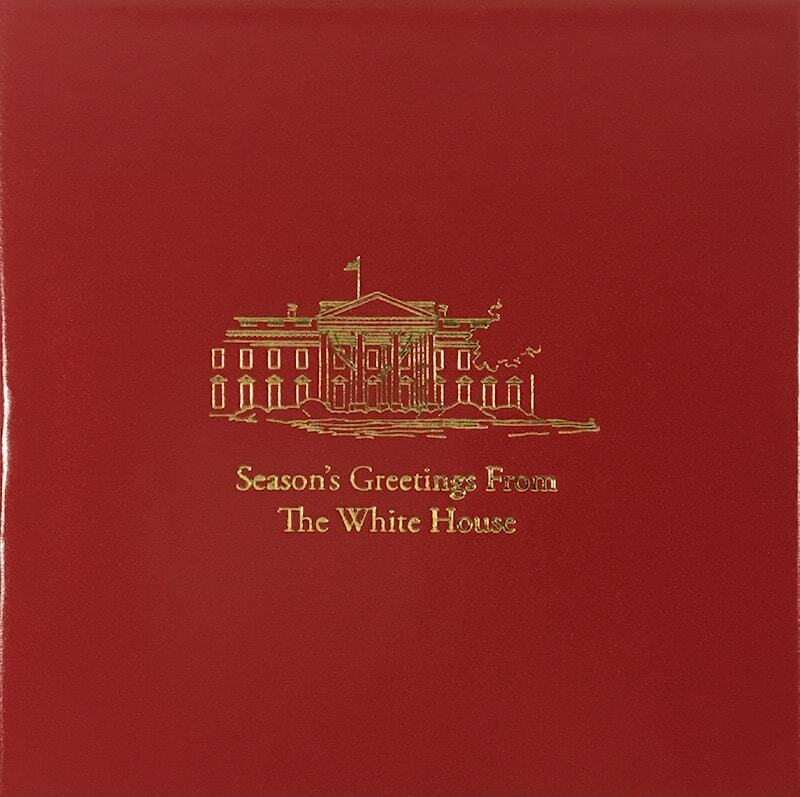 In 1996, the highly researched book, Season’s Greetings from the White House, by Mary Evans Seeley, was released to the public. Six print editions followed, making it one of the most successful White House Christmas books on the market. The newest seventh edition, an electronically published title, exhibits more than 170 images that are even more brilliant and beautiful than in the print editions. The eBook is available on Amazon and Barnes and Noble and makes a wonderful companion to this ornament.